So, pleased to see three great new resources released this year by my wife, Melissa. And they cover the topics of contentment, identity, and joy. 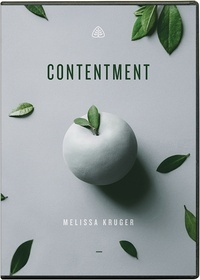 First, Ligonier ministries just released a new 8-part video series with Melissa on contentment which would be fantastic for Bible studies, women’s groups, or Sunday School classes. Many Christians struggle with comparison, covetousness, and complaining. But the Apostle Paul was content in plenty and in want. What was Paul’s secret, and how do we cultivate contentment in our lives? 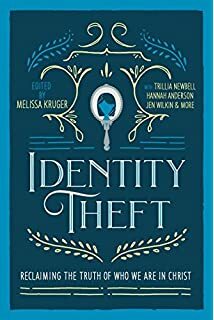 In Contentment, Melissa Kruger considers what it really means to be content: to place our trust in our good and sovereign God. God’s love for His people is unchanging, and He is using every detail of our lives to shape and fashion us into the image of Jesus Christ. As we look back to the cross of Christ and look forward to the hope of heaven, we will discover that ultimate contentment is found in Him. She has treated this theme in a number of places including her book, The Envy of Eve: Finding Contentment in a Covetous World (Christian Focus, 2012). This past week, I spoke at the TGC Women’s conference in Indianapolis. I did three sessions on a number of different topics, but the highlight was the RTS-sponsored lunch conversation where Melissa and I discussed why theology matters for women. Afterwards, I was asked repeatedly about which degree program would be helpful for women wanting to go to seminary. Although all our programs are great, I think the RTS Charlotte Master of Arts in Christian Counseling degree (MACC) is a wonderful option. What makes the MACC degree distinctive is that half of the 66 credit hours are in Bible and theology. Thus, MACC students not only know how to counsel, they know the crucial content of their counseling. And here’s the big news: we recently announced that we are now offering the MACC degree in an new Summer/Winter format. This means that students can now get the MACC degree over the course of four years without having to relocate. Let me say that again. You can get the MACC without moving. The desire to talk about this issue was motivated by several things. For one, Melissa has served in a paid staff position (part-time) at our home church, Uptown PCA, for about a decade. And so, part of the discussion was her reflections on serving on a church staff and how that has shaped her thinking on this issue. The second reason for discussing this topic is because of what is happening here at the Charlotte campus. I have been so excited to see more and more female students coming to RTS to pursue theological education. There is a vibrant community of women on campus led by our Community Life Coordinator, Mallie Taylor. And these women are some of our best and brightest students. Every semester we give awards for the best student papers, and this past semester two out of the three winners were female students. But, in the midst of this positive development, I know many of these women are wondering what comes next after graduation. There are a limited number of paid ministry opportunities for our female grads and this can raise questions about whether seminary for women is worth the time and cost. The committee encourages sessions in churches that have unordained staff positions to consider hiring qualified women, possibly even before qualified men. The church staff will of necessity have primarily ordained men, and women will never be ordained. Thus, the committee encourages preferring women for non-ordained staff positions. Since we live in a world that doesn’t view pastoral ministry as a high calling, it is probably no surprise that many do not view pastor’s wives as having a high calling either (including some pastor’s wives!). I suppose there are many reasons why this is the case. Some people have an image in their head of what a pastor’s wife looks like (or should look like) and they simply don’t want that for themselves. Perhaps others think being a pastor’s wife means certain things it doesn’t necessarily mean. And others are probably wary of a life where you are often scrutinized, watched, and maybe even critiqued. For all these reasons, I was pleased to give a talk on “The Importance of Being a Pastor’s Wife” to the gathering of women at last week’s PCA General Assembly in Greensboro, NC. It was a packed house so apparently there are many folks interested in that subject! Since we live in a culture that is obsessed with gender identity and gender issues, it is not surprising to find Christianity on the receiving end of serious criticisms regarding its view of women. Christianity–particularly if it embraces a complementarian theology–is viewed by many in our culture as oppressive and harmful to women. It does not provide, we are told, a friendly and welcoming environment where women can grow and thrive. But, this is not just a problem for modern Christianity. The oppression of women, it is argued, was especially a problem in early Christianity. After all, in the first few centuries of the church, critics insist that the Christian culture was still very much a patriarchal one still beholden to the misogynistic views of the apostle Paul. 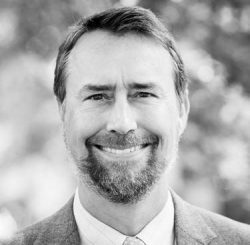 Leaving aside the questions about modern day Christianity, I want to ask whether these claims about early Christianity–particularly in the second century–are, in fact, true. Is it really the case that second-century Christianity was a hostile environment for women? Well, if it was, apparently no one bothered to tell the women in the second century because they flocked to Christianity in droves. It is well established that Christianity was extremely popular with women during this time period. Sociologist Rodney Stark estimates that perhaps 2/3 of the Christianity community during this time period were made up of women. This is the exact opposite of the ratio in the broader Greco-Roman world where women only made up about 1/3 of the population. This means that women intentionally left the religious systems of the Greco-Roman world with which they were familiar and consciously decided to join the burgeoning Christian movement. No one forced them to do so. No one made them become Christians. On the contrary, Christianity was a cultural pariah during this time period. It was an outsider movement in all sorts of ways–legal, social, religious, and political. Christians were widely despised, viewed with suspicion and scorn, and regarded as a threat to a stable society. And yet, women, in great numbers, decided to join the early Christian movement anyway. Women pop up all over the place in our earliest Christian sources. They are persecuted by the Roman government, they are hosting churches in their homes, they are caring for the poor and those in prison, they are traveling missionaries, they are wealthy patrons who support the church financially, and much much more. Indeed, so popular was Christianity with women, that pagan critics of Christianity (Celsus, Lucian) mocked Christianity for being a religion of women. Let that sink in for a moment. In the ancient world, Christianity was mocked for being too pro-women! That is a far cry from what one hears in cultural conversations today. The reasons that Christianity provided such a favorable environment for women are not hard to discover. 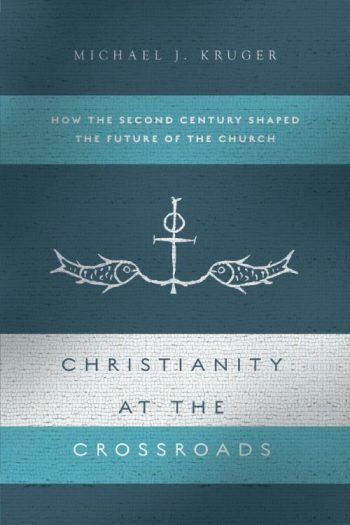 Early Christianity would have included opportunities for real ministry involvement (with honor and dignity), it condemned female infanticide (a practice which had greatly reduced female numbers in the pagan population), it spoke out against child brides (which was harmful to young girls), and it advocated for healthier marriages where divorce was condemned and use of prostitutes/concubines forbidden (which resulted in greater fertility in Christian couples). All of this presents serious problems for those who claim early Christianity was oppressive to women. I suppose those who hold such a view could argue that all these women in the Greco-Roman world were so gullible and easily duped that they thought Christianity was great when (as all sophisticated people now know) it really wasn’t. But, such an approach is, ironically, grossly patronizing and demeaning to women. It basically says that second-century women were too ignorant to have known what was good for them. And even more than that, such an approach is guilty of the “arrogance of the modern.” It basically says only we in the modern day knows what is best and all prior generations were just too primitive to know any better. A much better response–a response that honors the historical evidence–is to acknowledge that ancient Christianity provided a profoundly welcoming and healthy environment for women. And if that was true back then, perhaps one might be willing to consider the possibility that it is true today. To learn more about women’s ministry at Charlotte, see the Women of RTS homepage. This past Friday it was announced that my wife Melissa’s blog, Wit’s End, has been moved over to The Gospel Coalition website. This is very exciting news. Melissa’s blog does a great job of talking about substantive theological topics while, at the same time, exploring practical nuts-and-bolts aspects of women’s ministry. So, I think it will be a great fit over at TGC and helpful for all involved in ministry, whether men or women. Here is Collin Hansen’s announcement below. And as he says at the end, congratulate Melissa by follower her on Twitter! Regular readers of our website will already know Melissa Kruger, but we’re delighted to announce today that you’ll see even more from her as our newest blogger. Melissa coordinates women’s ministry at Uptown Church (PCA) in Charlotte, North Carolina, and she’s written two books: The Envy of Eve: Finding Contentment in a Covetous World (Christian Focus, 2012) and Walking with God in the Season of Motherhood (Waterbrook/Multnomah, 2015). Melissa has three children with her husband, Mike, the president of Reformed Theological Seminary in Charlotte. Melissa has been a fixture of our national conferences the past several years. At this year’s national conference she spoke on a panel about ministry among women. During the 2014 women’s conference she addressed “Cultivating Contentment in a Covetous World,” the subject of her first book. And she’ll be speaking three times at next year’s women’s conference: on deepening our walk with Jesus, teaching theology to children, and growing in Christ as a new believer. You can read more about these workshops and register for next year’s conference, June 16 to 18 in Indianapolis. We invite you to join us in welcoming Melissa by following her on Twitter and browsing the archives of her blog, Wit’s End. In prior posts, I have already mentioned my wife’s excellent new book, Walking with God in the Season of Motherhood (Waterbrook, 2015). As an 11-week Bible study for moms, it is really something unique. There are many books for moms. And there are many Bible studies. But, Melissa’s new book combines both together. For more about Melissa, you can check out her website Wit’s End. Being a mom is not easy. It is a whirlwind experience filled with exhilaration and joy on the one hand, and exhaustion and challenges on the other. There are days when a mom finds deep satisfaction in her new role as a parent, and there are other days when she doesn’t know if she can go on. During times like this, it is critical that a mom find her joy and her assurance in a stable place that cannot be shaken. And that is found in her relationship with Jesus Christ. For this reason, I am very excited that this week my wife Melissa’s new book was released, Walking with God in the Season of Motherhood (Waterbrook, 2015). What makes this book unique is that it is not a How-to book about parenting, but a book that directs moms back to Christ during one of the must crucial stages of their lives. Melissa takes moms through an eleven-week devotional Bible study on enormously critical topics such as Understanding Your Purpose, Knowing God’s Word, Entrusting Your Child to the Lord, Ordering Your Home, and much more. If you are looking for a great gift to give at a baby shower, this is it. Over at Melissa’s blog, Wit’s End, she tells the back story of how she wrote this book and where the inspiration came from. You can check out the story here. 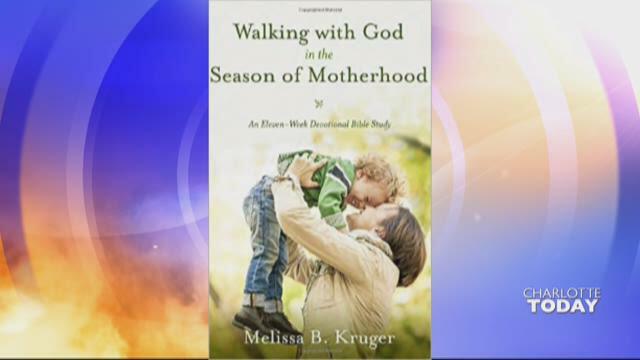 Walking with God in the Season of Motherhood is also being featured at the new book table at major Barnes and Noble stores for the next two weeks. So keep an eye out for it! I’ve said it before and now I will say it again: more Reformed churches need to consider adding staff positions in the area of women’s ministry. It is so exciting to see the many women RTS Charlotte has trained over the years head out into ministry and be a blessing to the church. These women bring a life and vitality to their ministries that is bearing real fruit. In prior installments of the Where Are They Now? series, I have highlighted a number of our female grads, including Alyson Averitt, Connice Dyar, and Cynthia Ruble. Now I am pleased to highlight Elizabeth Parker, class of 2014. I am the Director of Women in Ministry at First Presbyterian Church (EPC) in Baton Rouge, Louisiana. I meet with women, teach Bible studies, write curriculum, and work with the pastors to love the congregation and our city well. Making the decision to go to RTS Charlotte was not a difficult one. It was very clear to me that the professors not only love God and His Word but are committed to reading and teaching it responsibly. Further, they have a strong desire for their students to know God more and to, in turn, love God more. 3. Is there one thing that you learned at RTS Charlotte that has come back to you as you have ministered to others? A phrase, encouragement or advice? A recurring theme in seminary was that the study of the Bible in an academic setting and the application of the Bible to our lives are not mutually exclusive. This is something I carried throughout seminary as I wrote papers and studied for exams while trying to minister to those in my church. Now, in full time ministry, I continue studying Scripture and digging into it in order that these truths might sink into my own heart and so that I might share it with others. My favorite part of the job is teaching. I love sharing what I am learning of God’s character and His plan. It’s great to see women learning new insight from a passage they are reading for the first time – or have read many times before. Also, our Bible studies are mostly intergenerational so I get to benefit from the wisdom of women in all stages of life. I think working full time in ministry is extremely humbling. I am not Jesus – and therefore I can’t save people. I can’t fix every problem. I meet with women who have very big, very real issues and I am pushed over and over again to rely on the Lord in prayer. As a human it is difficult to have my own struggles and pain and then walk with women through their suffering. I have to constantly remind myself to filter this suffering through truth. If I could give any encouragement to seminary students now it would be this: enjoy this time! The three years I spent working toward my MDiv were some of the most wonderful years I have had so far. Dig into Scripture. Let what you learn in class and what you write about in papers be devotional. You are learning more about God’s plan and character – and you aren’t in it alone! You are studying alongside others who are in ministry – develop those friendships and get to know the professors. I am very excited about my wife Melissa’s new blog which launches today. There are a tremendous amount of resources available on this site, covering a wide variety of topics such as women’s ministry, motherhood, contentment, life as a pastor’s wife, and more. The site also includes a number of her articles, podcasts, talks, and videos. Many of these have been published on other sites like the Gospel Coalition, Christianity.com, Reformation 21, and others. I love teaching women the Bible. In addition to speaking at conferences and retreats around the country, I’m on staff in women’s ministry at my home church, Uptown PCA. I hope to share helpful tools and resources that have benefited our women’s ministry. If you are looking for those items, be sure to check out the Women’s Ministry sidebar on the right. I’ve written two books, The Envy of Eve: Finding Contentment in a Covetous World and Walking with God in the Season of Motherhood. This new site is a treasure trove of good stuff. Check it out here. And pass it along to the women’s ministry leaders in your church! I get asked all the time about what aspects of ministry can be improved in Reformed denominations in America (e.g., PCA, ARP, EPC, OPC). While there are many answers to that question, there is one that stands out: more Reformed churches need to include staff positions for women’s ministry. While the public preaching of the Word, done by ordained ministers, will always be the core ministry of any church, there are many other critical ministries that should not be ignored. And women’s ministry is one of them. Paul explicitly gives the command that certain women in the church are to “teach what is good, and so train the young women” (Titus 2:3-4). Although a formal staff position is not necessary to carry out this command, churches with the resources to do so ought to give it serious consideration. Churches have staff positions for children, youth, music, and more. And there is nothing in appropriate about this. But, I would argue women’s ministry, based on Paul’s on exhortation, should be a high priority. For this reason, I am pleased that this installment of the Where Are They Now? alumni series highlights Alyson Averitt (class of 2005), who is serving Christ in women’s ministry at Providence PCA in Dallas, TX. We at RTS Charlotte hope to send out many more women like Alyson into women’s ministry. I am the Women’s Ministry Coordinator for Providence Presbyterian Church, a PCA church in Dallas, Texas. In that role, I am blessed to be able to teach Bible study, meet with women, and participate in the overall ministry of the church. I came to RTS-Charlotte because of its deep commitment to the inerrancy of Scripture, to being biblically balanced in its doctrine, to being winsomely Reformed, and to fostering in students a deep love for the Lord. Definitely—it’s hard to narrow them down! When teaching and reading the Bible, I am always recalling Dr. Cara’s phrase, “Be balanced as the Bible is balanced!” It can be such a temptation in teaching to harp on a pet-peeve or take a new and exciting spin on something. But, it has been such a help to me to remember that we are called to simply be balanced in our teaching—balanced as the Bible is balanced. An encouragement to me that I have shared with others many times is a quote that Dr. Kelly shared in his “Theology of the Puritans” class. He quoted Samuel Rutherford’s “Come all crosses, welcome, welcome so I may get my heart full of my Lord Jesus,” as he encouraged us and spoke of his own experience of the nearness of Christ in the midst of dark trials. It had such an impact on me. That phrase has brought me great hope in the midst of many a trial or ministry struggle and has encouraged me to press on so that I may get my heart full of my Lord Jesus. I love the simple privilege of sharing the Word of God, both through teaching and meeting with women, and watching the Lord work. It is truly awe-inspiring and faith-bolstering to get to see up-close the way that God’s Word changes lives, encourages people, and gives hope. Experiencing that the Lord, and the Lord alone, controls the effectiveness of His Word in each situation has been a surprising struggle. I was prepared mentally to speak truth and to trust the Lord with the outcome, but I was not prepared emotionally for how heart-breaking it is when people that you love do not respond to the Word. I think I had the expectation going into ministry that if people simply see the truth, they will love it, long for it, and be changed by it. Sometimes that is true, and sometimes it’s not. When it is not, it is very painful. It has caused me to struggle honestly and deeply with my own inadequacies as a teacher and encourager. But it has also reminded me again and again that the Lord is in control in every situation and that I must trust Him. That struggle has drawn me nearer to the Lord as I learn to trust His heart even in times when I don’t understand His ways. It is so easy to become numb to the blessing of seminary while you are in the midst of it. It can be tempting to think of it as a hoop to jump through or a box to check in order to be able to do ministry. But, it is such an extraordinary time of preparation! Due to life circumstances and the varied pressures and responsibilities of your future ministry, you will likely never again have this kind of time to really delve into the Scriptures and chase down all of your questions. Spend time with those gracious RTS professors and glean all you can from them. Take the time to really think through the implications of what you are learning and ask questions, questions and more questions. Purpose to use what you are learning to truly grow in the Lord by being constant in prayer as you learn. Standing on the other side, I so often long to go back and pursue more deeply all of the blessings that were available to me during that time. Squeeze every last drop out of each opportunity—you will truly reap the fruit of your seminary efforts in your future ministry. In the mid twentieth century, Martin Lloyd-Jones preached through Romans on Friday at night at Westminster Chapel in London. Before it was all done, his series spanned 11 years and 372 sermons. Now those sermons have been gathered together in a commentary series on Romans which is one of the finest available. I highly recommend it. Although I don’t have plans to remotely challenge Lloyd-Jones epic series in Romans, this Fall we began a new study of Romans here at the RTS Charlotte campus. It is a Wednesday morning Bible study for women in the Charlotte community. I had the idea for this study a few years ago as I was looking for an opportunity to connect with the people in the city of Charlotte outside the formal classroom setting. A lot of people are too intimidated to take one of the standard seminary classes, but I thought they may be willing to come on campus an participate in “normal” Bible Study. And it looks like this study has really met a need. It filled up quickly and we had to close the registration. But if you are interested in joining this study in the future, keep an eye out for next Fall when registration will open again. In the meantime, we are filming each installment of the series and posted the videos online, along with the handouts. You can see the entire series here. One of the fastest growing areas of ministry in the United States today is sports chaplaincy. Not only do most major sports teams have chaplains, but now even college and some high school programs have chaplains. These chaplains have unprecedented access to these athletes who will be future leaders and (inevitably) influencers of American culture. Incredibly, despite these strategic opportunities, the ministry of sports chaplaincy is relatively unknown. We are working hard here at RTS Charlotte to address this important ministry niche through our Chaplains Ministry Institute (CMI), in partnership with great ministries like the Sports Chaplains Network. Connice Dyar (RTS Charlotte class of 2007) is on the front lines of chaplains ministry as she labors at Joe Gibbs Racing, a NASCAR team right here in Charlotte, NC. Joe Gibbs, the famous former head coach of the Washington Redskins, is a committed evangelical Christian. I am a Chaplain with the Sports Outreach Group and thru them I am on the Chaplains Team at Joe Gibbs Racing as the Womens Chaplain. I also do women’s Chaplaincy work with women through out Nascar. I am also the Women’s Director/Asst. Director for the Charlotte Fellows. Being on the Chaplains Team, i get to do a variety of ministry. The main ministry is evangelism and discipleship. But it is carried out in a variety of ways. I originally started at RTS to just take some classes to be better equipped at teaching God’s word as I had been leading women’s studies and doing mentoring for a number of years. My last child was almost done with homeschooling and I was planning to being able to spend more time doing teaching and mentoring. I got so hooked and loved the classes and the learning so much that I knew I had to stay and finish and get my MATS. I think it was Dr. Oliver in his Sanctification class that said, “You will never drift toward holiness, it must be intentional.” The class that was my most favorite and most stretching and growing in knowing God was Dr. Kelly’s class on the Trinity. I knew being in seminary would enlarge my knowledge and understanding but I was unprepared for the times that I was so moved in my heart that I had to just bow my head in class and talk to God and give thanks for who He was and what He had done. I love the variety and the creativity you can use and fun you can have doing evangelism and discipleship. Looking for ways to connect and build relationships with different women, having fun teaching the scriptures and seeing women grow in who they think and know God to be and what it means to follow him. It is also fun to partner with my husband to do ministry together. We get to do a lot of pre-marital and marital counseling and those are special. Its also great fun and a blessing to be a part of a team. At JGR, there are 4 of us on the Chaplains Team and we have about 450 employees so its a busy place. Its always a struggle time wise. There are many opportunities and needs but only 24 hours in a day, which is true for everyone. I am always trying to be flexible and think outside the box for ways to communicate and be available. Within the organization we have about 33 female employees and the rest are male with the majority of them having wives or girlfriends. The challenge is that we all don’t meet weekly as in a church. So I’m always looking for ways to connect to the women that aren’t there at the shop but are home with kids or working. Knowledge is good and needed but it should be one of the means to know God better and to love Him more. I think when we finish seminary we should love God so much more than when we started, we should love people more and we should want to be evangelists when we finish. And we should also be so much more humble. How could we not after spending several years focusing on God and who He is and what his word says. Filed Under: Reformed Theological Seminary, Women's Ministry Tagged With: Alumni, Connice Dyar, Joe GIbbs Racing, Nascar, RTS Charlotte, Where are They Now? There are many wonderful things happening at RTS Charlotte these days, but I am particularly excited about the vibrant women’s ministry happening here. Throughout the year there are a number of great events for our female students, student wives, female staff, faculty wives, and other women in the area who are a part of the RTS community. They enjoy a deep and rich fellowship. On this note, RTS Charlotte will host its sixth annual women’s conference this coming weekend, March 7-8, with guest speaker Kathleen Nielson. Past speakers have included Nancy Guthrie, Elsie Newell, and Melissa Kruger. For the details of the conference, see here. Kathleen not only blogs at The Gospel Coalition, but she serves as their director of women’s initiatives, and also has authored a number of books, particularly the Living Word Bible Studies. We are pleased to say that the event is sold out! But if you want info on future RTS Charlotte women’s events, please email Tari Williamson, [email protected] We hope to see you at one in the future.